This image was taken onboard Dongfeng as the team crossed the equator 2 days ago during leg 1 of the Volvo Ocean Race. 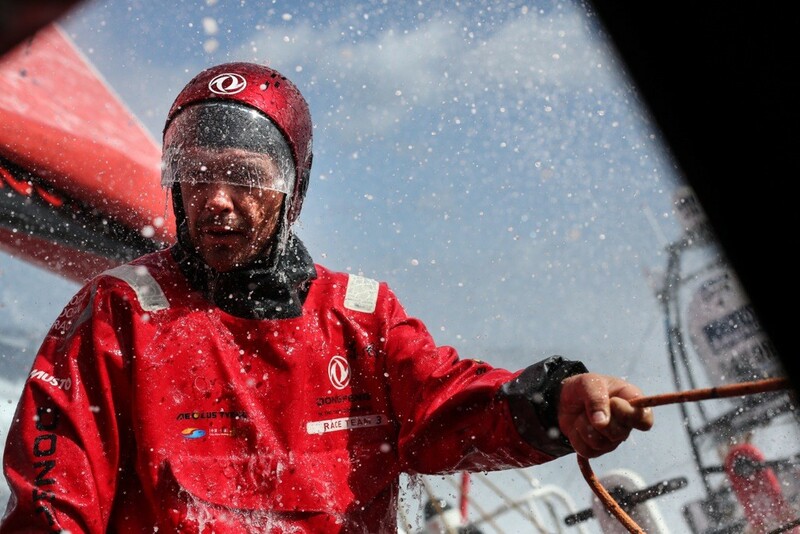 Traditionally teams would celebrate crossing the equator but been a rough week for Dongfeng. They went from leading the fleet for several days into the Atlantic to breaking a rudder, to replacing the rudder, to leading once more only to get stuck in the Doldrums and watch their competitors fly by – on both sides of them, east and west. At the time of this picture the team were in 4th place knowing that with the drag race to Brazil, there was little chance of catching the top 3 – and they have 3 other boats hunting them from behind. 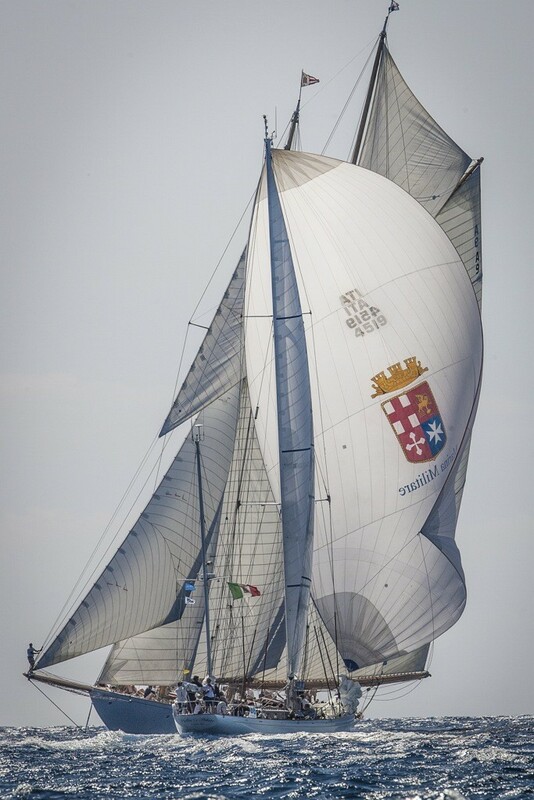 So whilst a 4th place pre-race would have felt like a good place to be on leg 1 – their time at the front has accentuated their feeling of being down after being ‘detained’ by the Doldrums for so long! 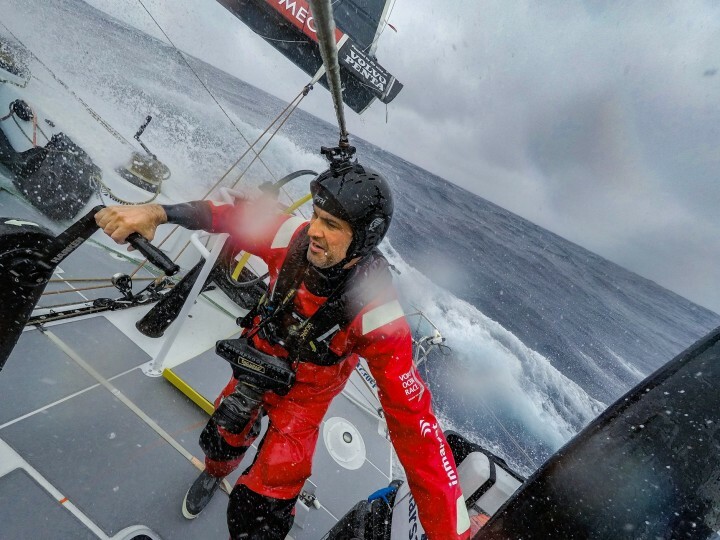 This picture features Kevin Escoffier, bowman onboard Dongfeng.